Wow, this was an EPIC journey!! 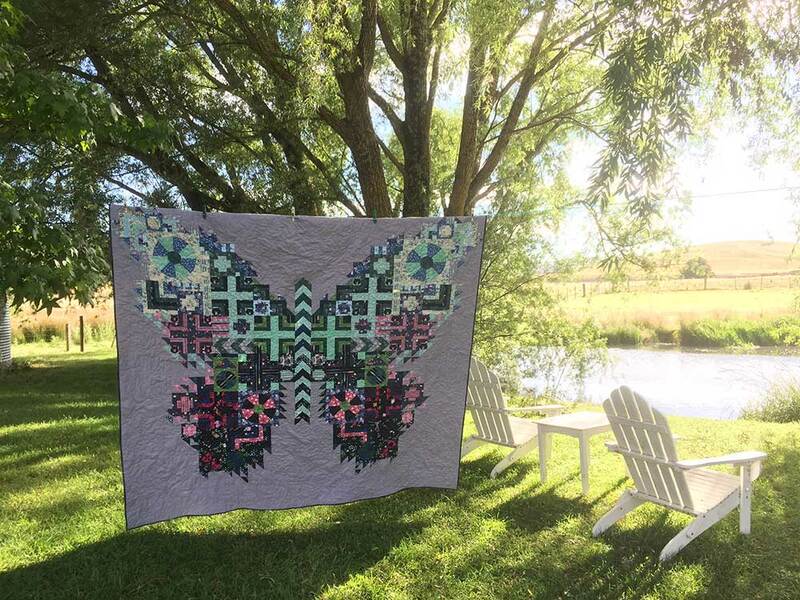 I have had the Tula Pink Butterfly pattern for quite a while and I have always been drawn to the impact of it, so when @gnomeangel started her sew along, I decided I was just going to do it. Another thing I really struggled with was I didn’t have a plan for the fabric… I had some specific colours in mind (dark green, blue and I thought a spot or two of pink highlights) but each of the blocks had no cohesive plan. This did not sit well with my OCD side. I think I *almost* got it working together… there were a few blocks that jarred a little with me and I thought I would have to live with as I was running out of time. Sometimes I just have to repeat to myself ‘finished is better than perfect and sitting in the WIP pile!’. And wow, when those wings start coming together it really starts to make it all worth while! And then it hit me how HUGE the quilt was and how on earth was I going to quilt it myself?!?! As of course there was no way I could get it into a long armer to get done before xmas! Doh! This forced me to get a quilting set up that works for me. 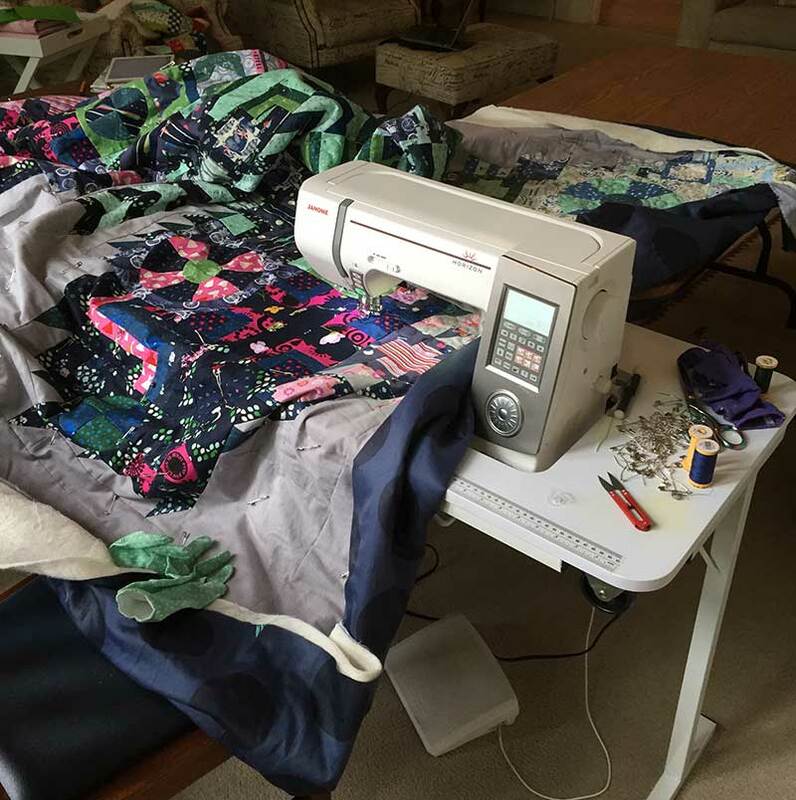 A backup machine, a table that the machine sits down into and is flat and a couple of folding tables all around to help hold the weight of the quilt. Worked like a dream! 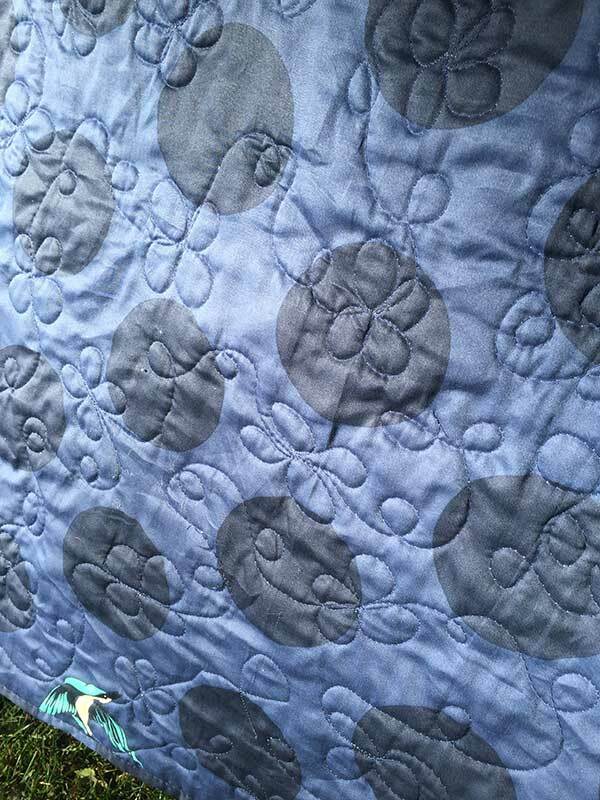 I quilted a meandering swirl all over the actual butterfly and in the grey background I did little flowers / butterflies with some swirls as well. Definintely not perfect at all, but pretty easy to do and when someone looked at the quilt and said “oh, you did little butterflies!” I was very chuffed that they could recognise them! But getting a picture of this finished quilt was VERY difficult… it is king sized and even the ever willing @thefabrichusband had to decline – his arms just weren’t long enough! I needed two people to even get close to holding this one up. Even the old clothes line struggled under the weight. I kind of like doing FMQ… very basic FMQ admittedly, but I like doing it. Would love doing it on a long arm even more I suspect! that really long projects are not for me, I need to have the buzz of a finished project regularly! and sewing circles, especially teeny tiny circles, are NOT FUN! But whew, I made it. Thanks for the sew along @gnomeangel – I doubt I would have stuck to it otherwise! Congratulations on this really big finish, and what a stunning gift to give to your niece. Happy New Year! Thanks Yvonne! Hope you have a wonderful 2018! Congratulations on that finish. It turned out very lovely. I’m sitting on the same pattern and though I love doing QALs because they give me a set timeline, they do get in the way of other things mostly because I hate to drop the commitment I made at the QAL. I would not have even tried to do the quilting on a king sized quilt. And, by the way, your quilting looks lovely. Your niece will treasure this forever. Thank you Rochelle! 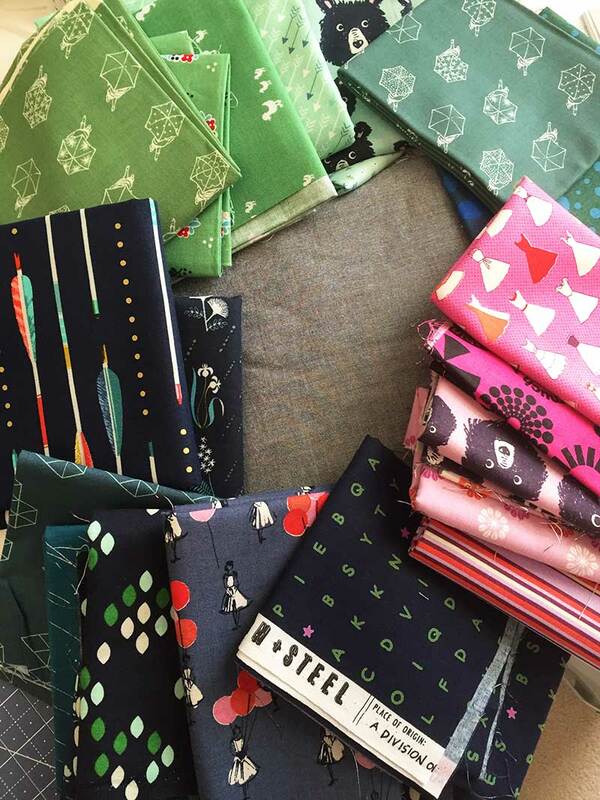 Yes, those big QAL projects are time consuming and it means you can’t really join in on lots of other fun sew things. I have decided 2018 I am not going to do a big project / QAL like that…. 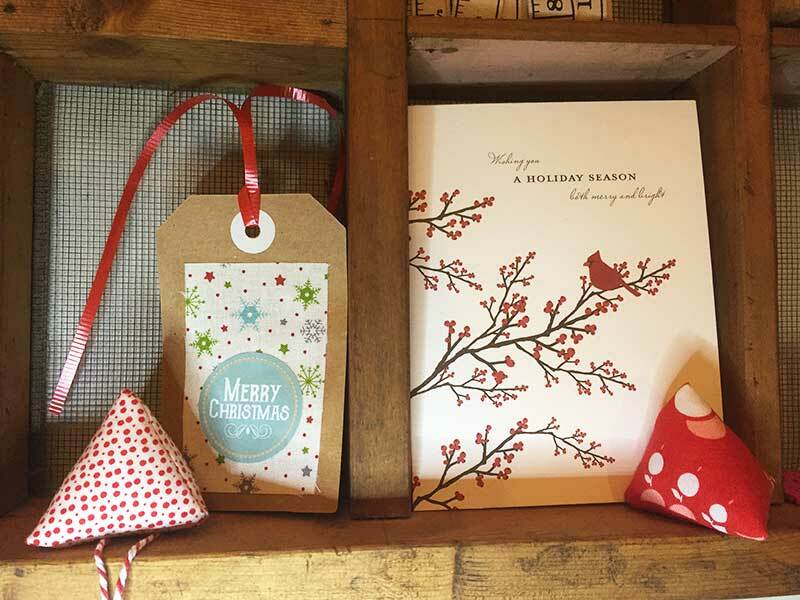 want to do lots of smaller things this year! Have a great 2018! 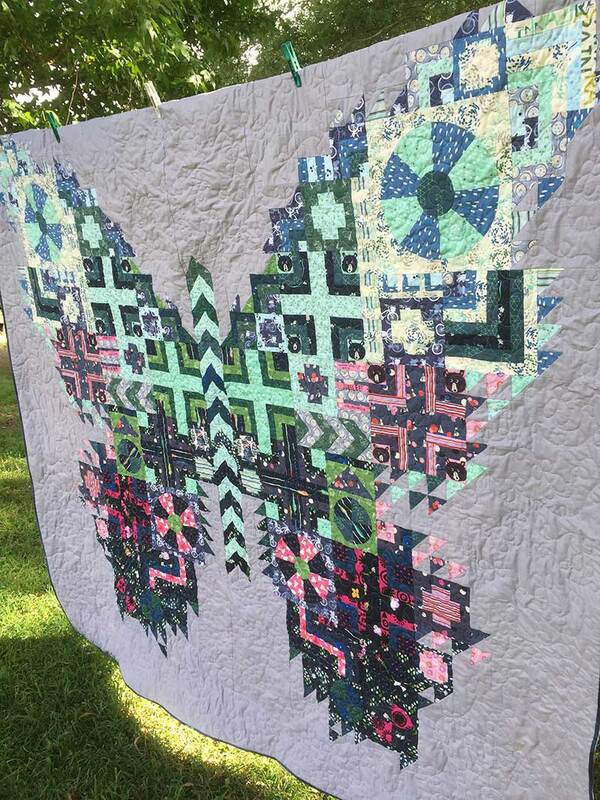 This butterfly quilt is absolutely stunning! How long approximately did it take to make? 3 months? Six months? Hi Susan, I did it as part of a Sew Along. It was from 1st August to the 4th December. And I finished it up (quilted it myself on my domestic machine!) just before Xmas. 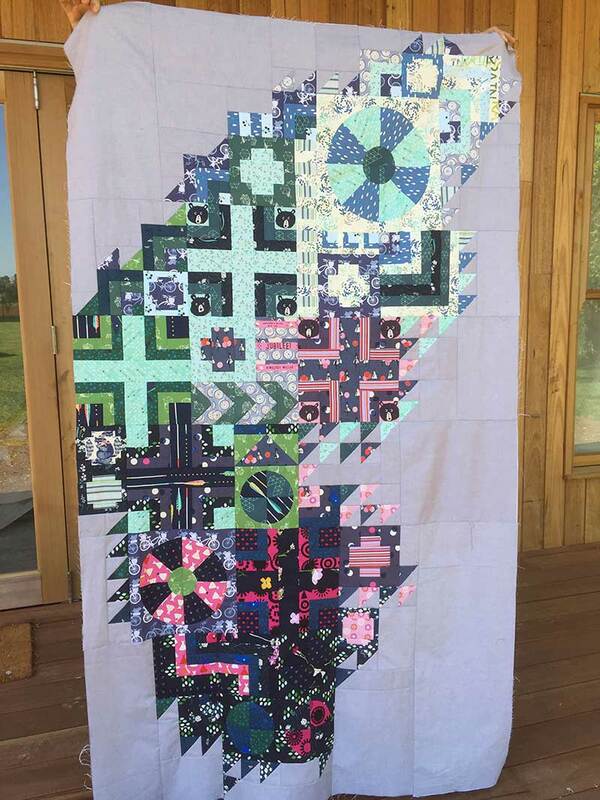 It is a huge quilt and lots of work, but wow, when it’s finished!!! 😀 Hope you give it a go!